Looking back at a popular artist’s early discography and witnessing him/ her in the process of discovering and solidifying his sonic style can be a delightful experience. Houston rapper Travis Scott, now one of the most popular artists in his genre, got his start off the massive buzz built by his mixtape Days Before Rodeo in 2014. Trained under Kanye West, Travis makes music that reflects his mentor’s knack for maximalism and grandeur, though blending elements in a way that is distinctly his own. On his debut mixtape, we see Travis beginning his journey as a trap-rap maverick by sowing the seeds of this ambitious sound. The fact that Travis isn’t just another SoundCloud rapper begins to reveal itself right when the opener Days Before Rodeo The Prayer rolls into focus with its interplay of piano, synths and booming vocal samples. Travis aims to be an outlier and he wastes no time in informing us about it. While his lyrics are built around age-old rap tropes and he seldom uses flashy flows, these limitations hardly seem to matter in the context of his dark and cinematic soundscapes. The emphasis, more than anything else, is on mood and style. Unlike many other artists, Travis knows how to use vocal-processing tastefully. The auto-tune on the album exists as a means to elevate emotion rather than for the sake of gimmickry. On Drugs You Should Try, for example, Travis’ warped voice emulates the feeling of being in a drug-induced euphoria, serving the central theme of the song. The experimentation continues on tracks like Don’t Play, which builds itself around gothic cathedral organ keys and a features a dreamy chorus from The 1975, and Skyfall which draws influences from industrial music. 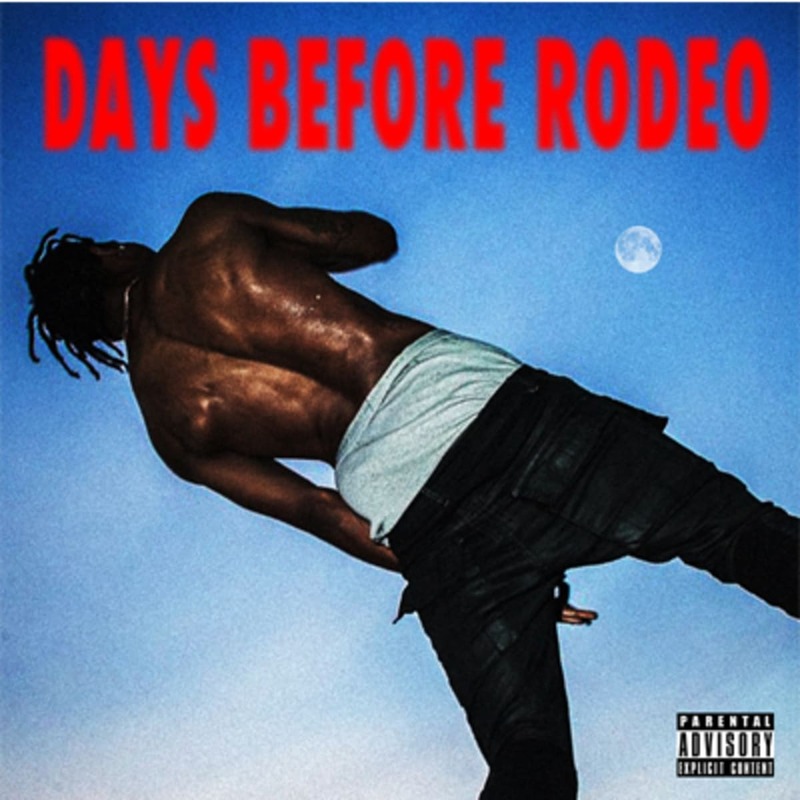 Days Before Rodeo, in all, is a thrilling debut, equally suited for a close, repeated listenings as it is for bumping in the club. Give it a listen!